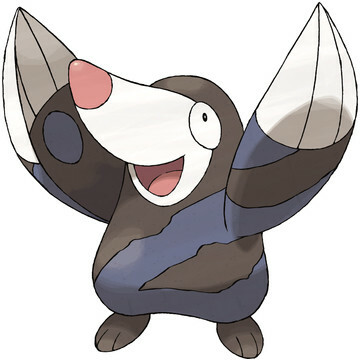 Drilbur is a Ground type Pokémon introduced in Generation 5. It is known as the Mole Pokémon . The effectiveness of each type on Drilbur. Drilbur learns the following moves in Pokémon Ultra Sun & Ultra Moon at the levels specified. Drilbur learns the following moves via breeding in Pokémon Ultra Sun & Ultra Moon. Details and compatible parents can be found on the Drilbur egg moves page. Drilbur can only learn these moves in previous generations. It must be taught the moves in the appropriate game and then transferred to Pokémon Ultra Sun & Ultra Moon. Drilbur learns the following moves in Pokémon Sun & Moon at the levels specified. Drilbur learns the following moves via breeding in Pokémon Sun & Moon. Details and compatible parents can be found on the Drilbur egg moves page. Drilbur can only learn these moves in previous generations. It must be taught the moves in the appropriate game and then transferred to Pokémon Sun & Moon. What is an easy way to get a spot to start bubbling or shaking? Can you find Drilbur in dust clouds after the Elite-4? What can Drilbur find in Gates to Infinity? How can I get a Drillbur without surf?